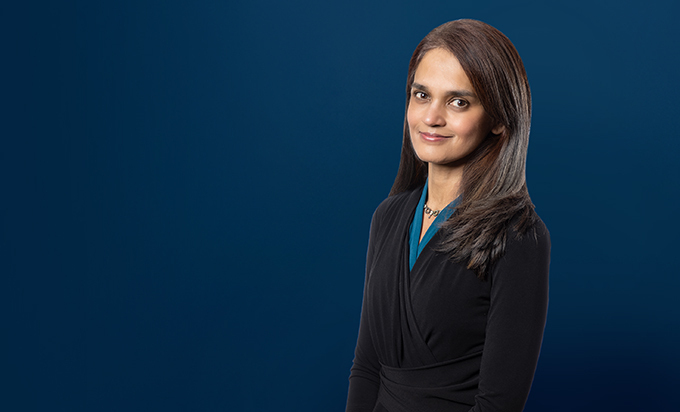 Recognized by Michigan Lawyers Weekly as one of 2017's "Women in the Law,” Soni Mithani has more than 20 years of experience litigating complex commercial and governmental litigation matters, with an emphasis on non-compete and trade secret litigation, consumer class action litigation, construction litigation, real-estate litigation, and municipal litigation, including several class action matters challenging the constitutionality of municipal fees. Soni maintains a broad general commercial litigation practice that encompasses cases ranging in value from seven-to-nine figures. 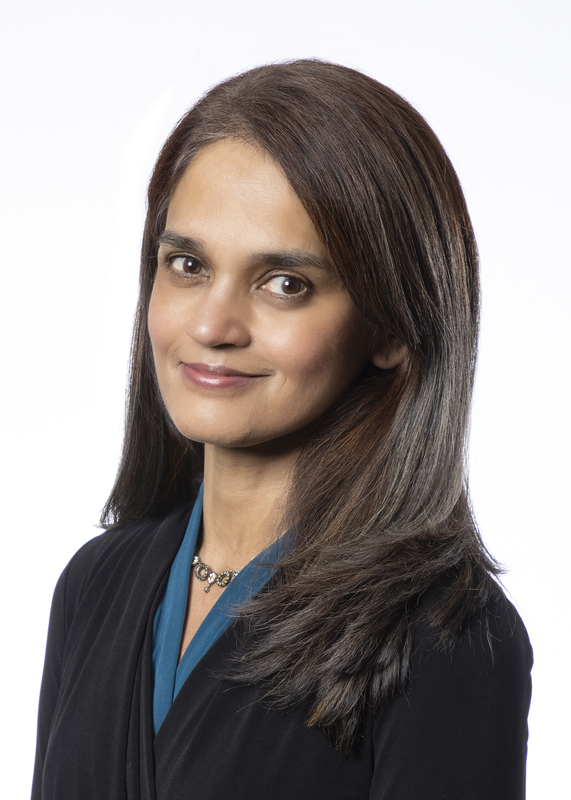 Her cases include disputes over the enforcement of non-compete and confidentiality provisions, insurance coverage work, securities litigation and scores of business-to-business breach of contract and breach of warranty matters. Her commercial litigation practice covers matters not only in trial courts but appellate courts, as well, where she has frequently obtained favorable decisions either reversing or upholding trial court rulings. She also provides general legal advice to several clients including large corporations, governmental entities, mid-size businesses, private schools and non-profit organizations. Soni represents entities in disputes involving real estate, including lien enforcement actions, lease disputes, eminent domain actions and actions to quiet title. She also represents owners and contractors involved in construction disputes. Her construction practice involves trial and appellate litigation and larger-scale arbitrations involving claims for liquidated damages, negligent design, recovery under the Spearin doctrine, delay, inefficiency, acceleration, schedule compression, changed conditions and contract abandonment. Soni has handled cases on behalf of a variety of municipal entities including bond-related disputes, actions to enforce consent judgments against municipalities, ballot challenges, and claims involving the Open Meetings Act. She is also well-versed in defending challenges to imposed utility fees based on the theory that the fees are impermissibly-assessed taxes under the Michigan Constitution, having handled in the last five years more than a dozen cases brought against municipalities under the Headlee Amendment. She has also handled several claims challenging the reasonableness and appropriateness of municipal rates and fees under state and federal law and has counseled communities regarding the legality of their ordinances and rate setting methodologies. Soni represents various entities and individuals who have been sued for allegedly violating federal and state false claims acts. She has defended against these qui tam claims in federal district and appellate courts. In this capacity, she has successfully defended against several multi-million dollar claims for damages. She has also obtained dismissal of the complaints prior to protracted litigation. She has also counseled clients in connection with issues concerning the Anti-Kickback Law and the Stark Law, along with other fraud and abuse issues. Soni represents health care entities (including nursing homes, diagnostic groups, hospitals and DME suppliers) and health care practitioners (including physicians, pharmacists and nurses) in a variety of matters ranging from licensing investigations, contract disputes, peer review hearings, challenges to medical staff decisions, government investigations, claims for reimbursement and responses to subpoenas requesting information or testimony. She has worked with physician groups and other health care entities to ensure that they are properly reimbursed by payors for work performed. She has also successfully defended hospitals against claims brought by physicians alleging wrongful termination of privileges. Successfully defended the City of Detroit against purported class action claims seeking more than $150 million in drainage charge refunds by obtaining a ruling that the City's drainage charge is a valid user fee and not an unlawful tax under the Headlee Amendment. Successfully defended a publicly traded savings bank in federal class action litigation challenging the bank's overdraft and payment ordering processes and alleging millions of dollars in damages. Obtained dismissal and/or summary judgment of all tort, contract and statutory claims filed against the bank and upheld summary judgment ruling on appeal. Successfully defended a municipality against $70 million in claims challenging sewer rates under the Headlee Amendment by obtaining summary judgment dismissing the claim and reaching a successful settlement of the lawsuit prior to rehearing/appeal for approximately $2 million. Successfully defended a municipality against claims asserting more than $20 million in refunds based on the alleged unlawful assessment of taxes without voter approval under the Headlee Amendment, prevailing both at the lower court and on appeal before the Michigan Supreme Court. Successfully tried and defended the City of Detroit against a potential class action lawsuit that drew international attention by challenging the City’s program of shutting off water to non-paying customers. Successfully defended the non-competition provision of a multi-million dollar physician group's shareholder agreements, obtaining a favorable settlement for the client prior to a trial on damages. Served as lead trial counsel defending a billion-dollar construction management company against a $20 million construction claim brought in a multi-party arbitration. Successfully defended a client sued by a “whistleblower” under the False Claims Act for damages and penalties totaling more than $10 million. Based on an early and vigorous defense of the claims, Soni was able to convince the federal government to decline intervention. Ultimately, the case was immediately dismissed after it was unsealed. Represented a major North American supplier of food and industrial starches against breach of warranty claims and successfully obtained summary judgment on all counts – a decision that was affirmed on appeal in the United States Court of Appeals for the Sixth Circuit. Defended a Michigan-based company against a putative class action lawsuit brought by consumers under the Fair Credit Reporting Act. Prior to class certification, she was able to resolve the dispute on favorable terms that were significantly less than the anticipated exposure from a trial on the merits.